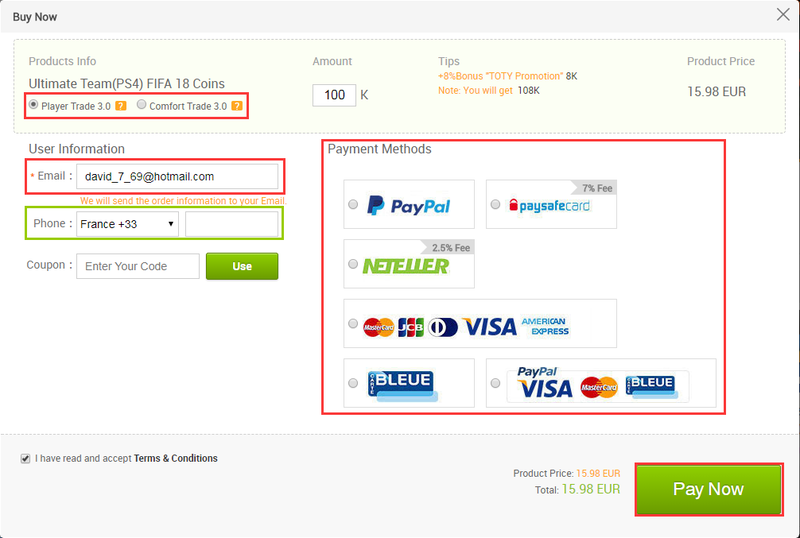 Step 1: Enter the FIFA Coins Page, Choose the Amount of FIFA Coins you want to buy, and Click on Buy Now. 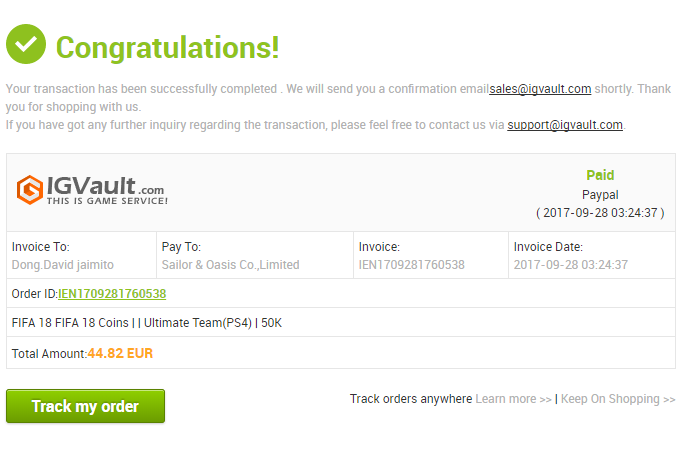 Step 2: Choose your deliver Method，enter your Contact Info（Please enter your valid Common Email, We will send the order info to your Email） and Choose your Payment Method, then click “Pay Now”. 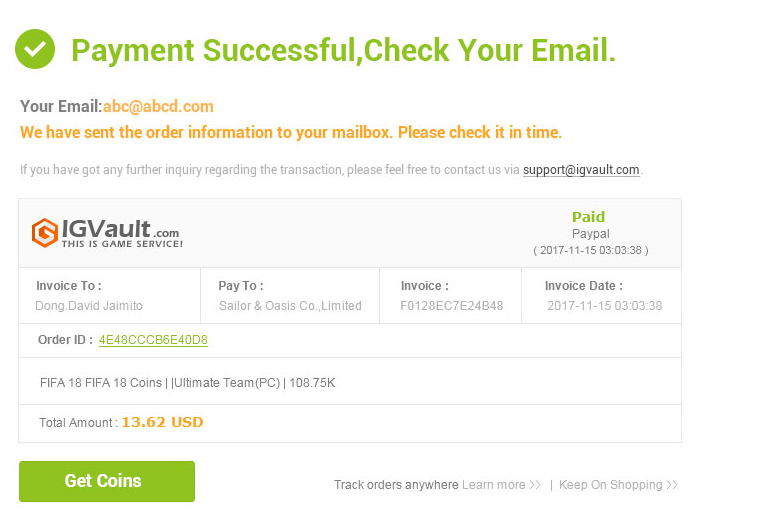 Step 3: After Payment, The page will be redirected to “Auto-delivery” System in 4 Seconds. You may also need click the “Live Chat” Button to check the Order Status with our Customer Service or check the Order Info in your E-Mail. Your Order may require a Verification before delivery. Step 1: Enter the FIFA Coins Page, Choose the Amount of FIFA Coins you want to buy, and put them into the Shopping Cart. Step 2: Choose your deliver Method and enter your Contact Info in Cart, then click “Checkout”. 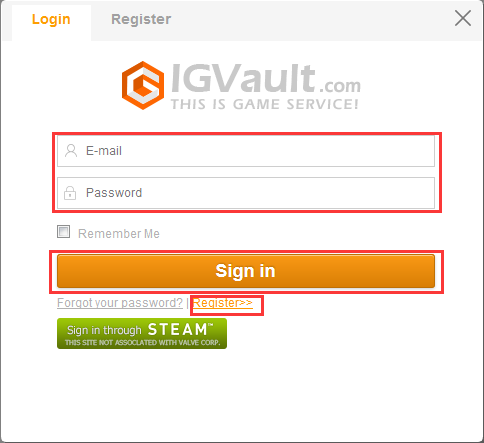 Step 3: Login/Register with your IGVault Account. 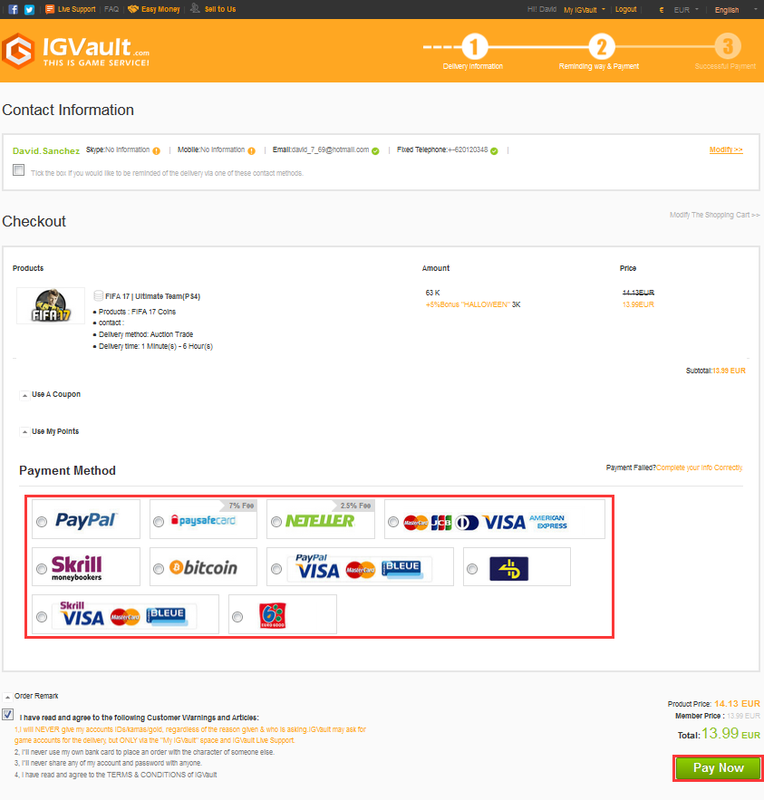 Step 4:After Login, Confirm your Order Info and Contact Info, then choose your Payment method and Click “Pay Now”. 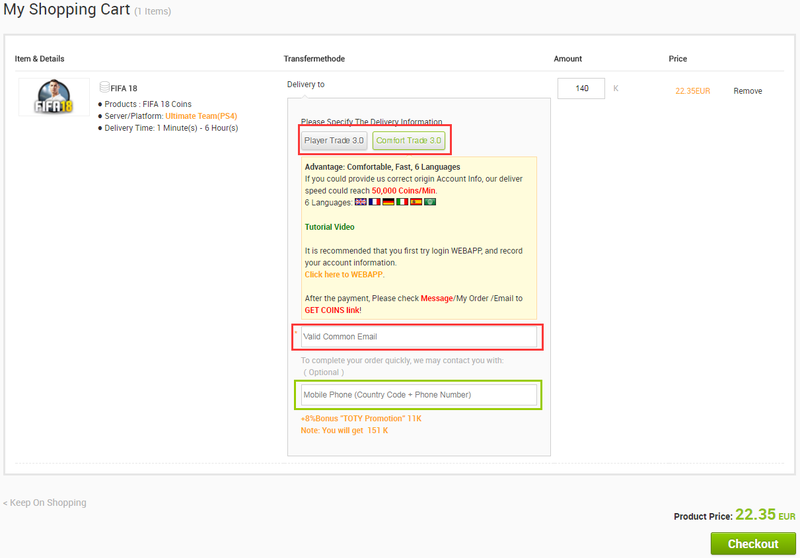 Step 5: After Payment, The page will be redirected to “Auto-delivery” System in 4 Seconds. You may also need click the “Track my order” Button to check the Order in Member Center. Your Order may require a Verification before delivery.